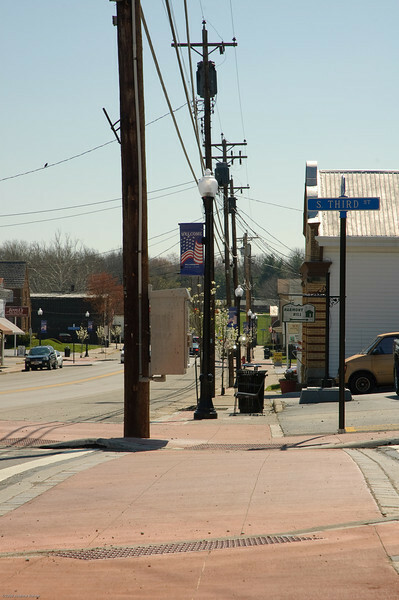 The village of Williamsburg, Ohio received a category 5 Transportation Enhancements award in 2008 for $640,000 with an additional $160,000 in local match funds. The streetscaping effort took place in downtown Williamsburg on Main Street from Front St. to Broadway St. The design and engineering work was done by CDS Associates The project found many ways to make downtown Williamsburg more attractive and pedestrian friendly. New concrete sidewalks were installed with curb ramps, paver crosswalks, landscaped islands, and bump-outs near intersections. In addition to improvements to sidewalks and intersections, new trash cans, lighting fixtures, and benches were installed. All of these enhancements help to draw people downtown while making it safer for those already there.